Gift vouchers are available for all of my Willow Animal & Basket Sculpture Days. These make idea Christmas, (birthday, anniversary), presents for family and friends. Depending upon your choice, gift vouchers are £85 – £95 per person, remain valid for 2 years and you will receive a personalised gift card. Priority booking is offered to gift voucher recipients who are notified of my next set of Willow Sculpture Day dates before anyone else. For more information please head to my Courses page and to order your gift voucher please fill out my Booking Enquiry Form. I will then reply with further gift voucher details including how to pay. 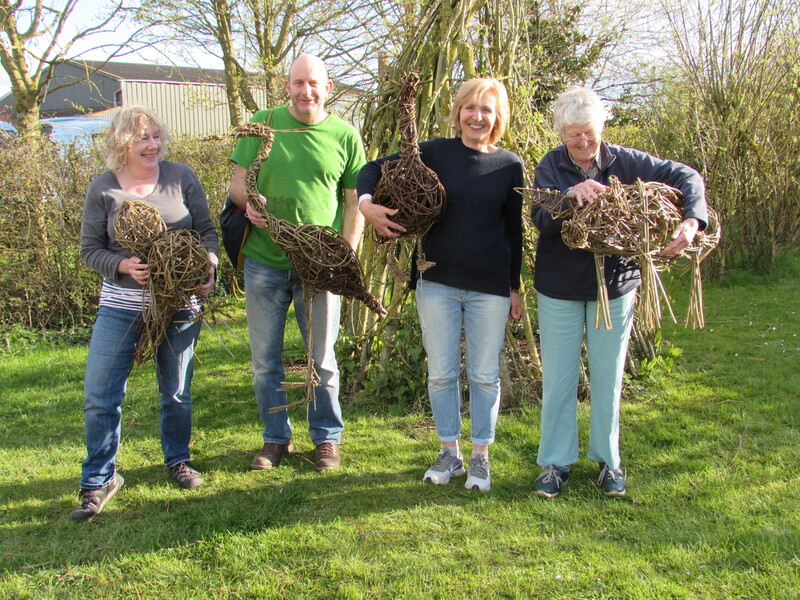 A great way to be introduced to the wonderful world of willow weaving! ← Driving my camper – What I dream of on a cold, wet November day!